Dr. Sherra Theisen, a St. Mary’s University philosophy professor, reflects on her participation in this year’s “Last Lecture,” held on April 26, hosted by Phi Sigma Tau, the philosophy honor society. Theisen also shares her love for the natural world and her belief in educating students on their need to understand and experience its beauty. 1. Hector Jimenez shines shoes at Market Square in downtown San Antonio, Texas. Mr. Jimenez has been shining shoes in the same location for the past 20 years. 2. A native of Oaxaca, Mexico, Mr. Jimenez emigrated to the U.S. when he was a child. He works daily at Market Square from 10 a.m.-5 p.m.
3. Bill Olivas is a self-taught artist originally from Albuquerque, New Mexico. The father of seven boys, Olivas has been coming to create, display and sell his artwork at Market Square for the past four years. He has been commissioned to paint many murals, including one for the grand opening of the Casa Grande Vagabond Hotel in Los Banos, California. 4. “The Great Alberto” is a magician born and raised in San Antonio, Texas. He started learning magic tricks at the age of seven, made his first stage appearance at age 11 and was touring the country by the age of 17. 5. Prior to his appearances at Market Square, “The Great Alberto” spent 20 years taking his magic tricks on the road with his wife and children. He used to cut his wife in half for one of his tricks, while his children held the backdrop! Flautist, Annie Swenson, small but powerful! 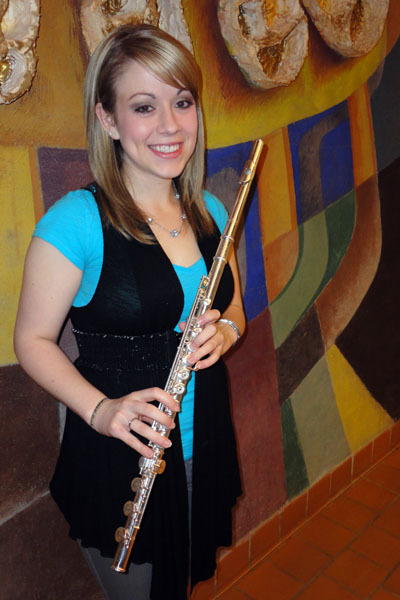 Meet Annie Swenson, a talented flautist who won’t let her size fool you! Taking the “blade” to my first audio project! While editing my first audio project, I discovered a new love for the very convenient “blade” tool in Final Cut Pro. It made cutting out the “ums” and ensuring that my project flowed so much easier! If I could do this assignment over, I would definitely ask fewer and more specific questions during the interview to cut down on the editing time. The most challenging part of this assignment was the interviewing process itself, considering I am not very familiar with interviewing. I overcame this by calling to mind times when I have been interviewed and remembering what the interviewer did and said that made me feel more comfortable. I also made use of the article “Interview Basics” by Adam Weiss, which we were required to read for class. It took me about two-and-a-half hours total to complete the project. 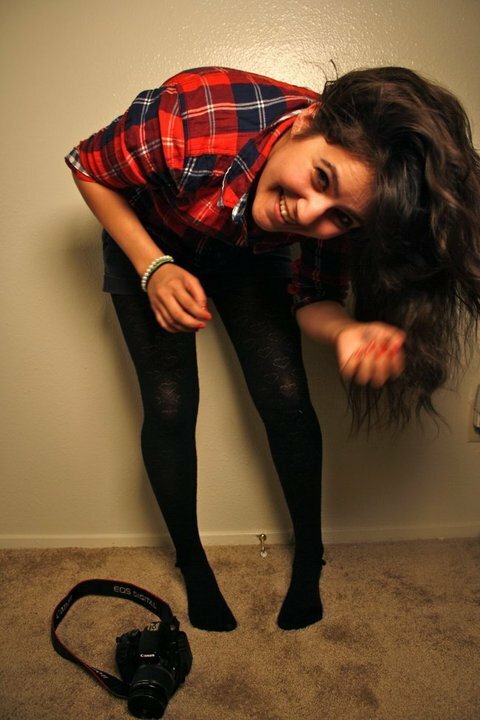 Junior English-communication arts major Veronica Luna reflects on her love for photography and the arts. "A Slice of Life" is an in-depth look into the lives of St. Mary's University students. Through these accounts, one may get a glimpse of the community aspect that is so cherished by all who call themselves "Rattlers!"